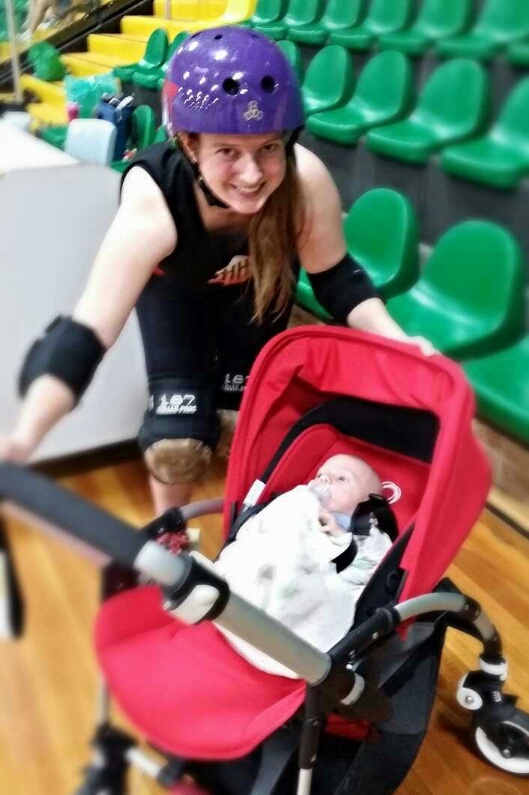 Rolling with Axel – A personal account of derby life after spawn by Pixiematosis. First off, this isn’t a blog about what to do after producing offspring or strict recommendations for returning to derby, it’s just my story. The main reason for not writing a “how to” is that if there is one thing I have learnt it’s that there is no “right way” to do things when it comes to a new baby. Every tiny human is different in their needs and mum’s recovery may be totally different to mine. 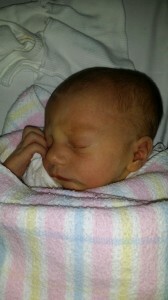 Axel was born on Boxing Day at around 1 in the afternoon. He was 3145g and 51cm long. Delivered via Mighty Vac (yep that’s exactly what it sounds like) and I was given a recovery time around 4-6 weeks. In that first week after spawn, I started to assess myself for getting back to my derby fitness. Everything had gone squishy, my tummy felt like jelly and I was struggling to open jars and stuff, so I was thinking I had a fair bit of work ahead of me. There was also the other thing, stitches, ick. That had a healing time of up to 4-weeks. So I’d determined not to think about my fitness again until Axel was 4-weeks old. Look at the cute. Look at it! That was probably for the best, any fluid from around my tummy was disappearing and my core wasn’t nearly as bad as I thought it would be. With some more settled sleeping patterns I was feeling stronger too. Whenever possible I got Axel in the stroller and went for a walk around the block and this seemed to do both of us plenty of good. TIP #1 BE PAITENT, LET YOUR BODY RECOVER IN ITS OWN TIME. In that first month I started to really question my ability to go back to derby. Axel seemed to need to feed constantly. I felt like I was trapped on the couch with no hope of getting up for sandwich let alone a few hours of training time. If Axel wasn’t feeding, he was screaming and I definitely felt like a bit of a failure at this mum thing. But things seemed to level out a bit and we were slowly getting into a routine. TIP #2 PERSERVERE, A ROUTINE WILL COME. 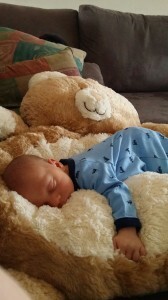 Awwwww, tiny baby sleeping Axel. My first big derby test was attending a committee meeting in week 3. I tried expressing for a bottle feed for the first time. Oh my glob! FREEDOM!!! Not only could I keep Axel happily fed in the middle of a meeting I could actually hand over the reins to someone else (Dobie you’re my hero). TIP #3 BOTTLES ARE FANTASTIC, LET SOMEONE ELSE FEED BUBS AND ENJOY SOME GROWN UP TIME. I got a chance to head to a team social at the beginning of week 4. I turned up looking totally frazzled and I kind of desperately asked my fellow mummy teammates for advice. I must have sounded so pathetic “Is this normal?” “Why won’t he do …?” “How long did your babies feed for?” I got a fair few knowing smiles and also plenty of hints and tips. Things didn’t seem so terrible after all. Soon after I’d figured out my offspring had dairy and egg protein sensitivity and it was causing him plenty of gas pains and I also got him soothing himself with a dummy. Hallelujah. TIP #4 MUM WISDOM IS PRICELESS. SERISOUSLY, JUST HEAR EVERYONE OUT AND SEE IF IT HELPS. In our 5th week together I thought it was time to start thinking about strapping on skates. I’d been cautioned by fellow derby mumma Leese Lightning to take it easy when returning to training. 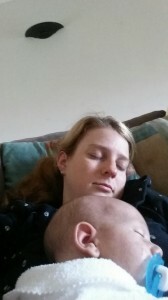 She warned me about the relaxin hormone that takes months to leave your body after pregnancy. Sure it allows your body to give birth, but it also increases your risk of sprains and injuries so that is something to think about, lest you end your derby career before you even get back to it. 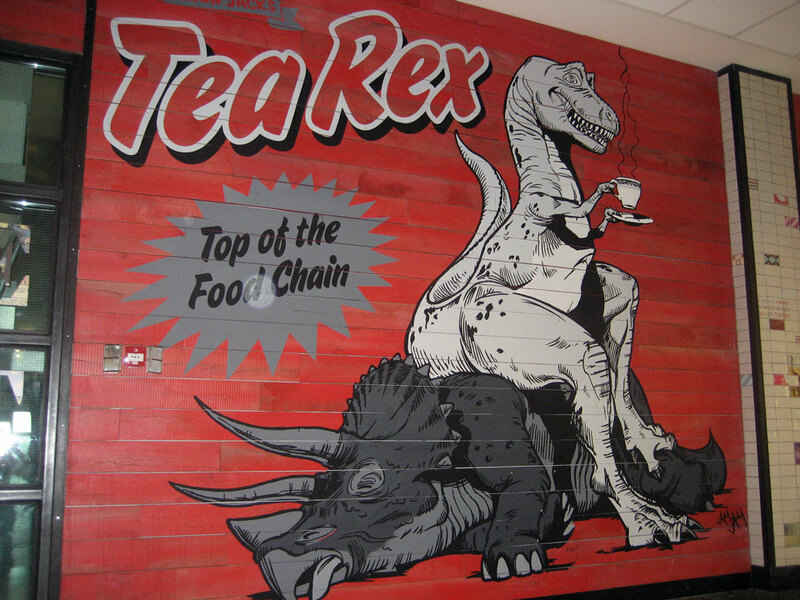 TIP #5 RELAXIN, IT’S A THING. 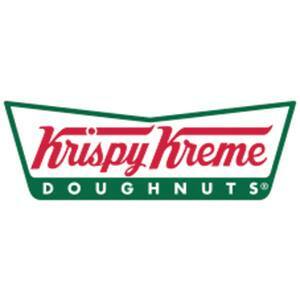 GOOGLE IT BEFORE HEADING BACK TO DERBY. Shhhh, the Pixie is sleeping. group. There was no pressure from my trainers to do this, I just wanted to because I didn’t feel stable or strong enough to jump into full contact training. Yet. My first training session back on skates I left Axel with my mummsy and I attempted to complete 1 hour of training. We completed the 5-minute laps, admittedly I took it a bit easy but I only completed 21 laps. I was crushed, I’m no speedster but I hadn’t been that slow since fresh meat. TIP #6 SEE TIP #5. NO SERIOUSLY RELAXIN IS A THING! IT WILL MAKE YOUR LEGS FEEL LIKE JELLY WHILE YOU’RE SKATING. TAKE YOUR TIME AND BE CAREFUL! For my next training sesh I brought the little guy with me. There were plenty of people just dying for a cuddle from Axel. I’d barely rolled him in the door before he was swaddled, fed, burped and tucked up into his pram for a sleep (Love you Bella). At first I was like “Oh you don’t have to…” but then I saw people really, sincerely, genuinely wanted to help. 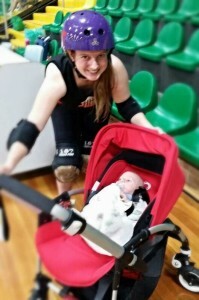 TIP #7 IT TAKES A VILLAGE OR A ROLLER DERBY LEAGUE TO RAISE A CHILD (JUST GO WITH IT). So that’s pretty much our first 6-weeks. My next blog will be covering up to 12-weeks. I hear 12-weeks is a magical time where babies settle down a bit and learn heaps of new stuff. I wonder if that means he can start changing his own nappies and stuff. That would be most excellent. Until next time, have a good one. Anyone who has previous conditions, injuries etc should consult their doctor first before performing any of the exercises and if they want alternatives they can message me 🙂 Also, if there are some who attend a gym, I would encourage them to get staff to help with finding neutral spine and squat range. Do excises that improve stability, we can be super strong but have poor stability, and this is when injuries happen. Calf raises; these are important to promote strength around the lower leg area which will improve stability at the knee joint as well as at the ankle. Muscles are designed to absorb a certain amount of force, the stronger we can get the muscles around the joints, the less likely we are to injure those joints. Use with or without a weight, on a bench or on the ground. On bench: feet in squat position with upper back on bench, keep hips inline with shoulders and head, not letting them go lower or higher. If you want to use weight, rest on lower part of the stomach. This squat is where knees do not go past toes. The movement is like sitting in a chair. It’s very important to know your squat range, which is to the point just before your lower back begins to curve under your hip. Do it in front of a mirror and watch your lower back, I also encourage people to watch themselves when doing other exercises in front of a mirror if training alone. Do exercises that are relevant to Derby. Maybe you guys have heard of this thing called ‘Functional Movement’, to sum it up, part of it is doing exercises that are relevant to your day to day activity and training your body to perform movements you do on a regular basis. Bicycle kicks or Russian Oblique Twists: We twist our torsos a lot in Derby, these exercises strengthen the muscles involved because the exercises involve similar movement patterns. Step ups; It’s very important in derby to have a good derby stance, this includes ensuring our knees track over our toes, by this I mean going in the same direction as our toes. Women’s knees have a tendency to cave inwards because of our wide set hips, so it’s even more important for us girls! This exercise doesn’t necessarily need weights, it’s more to get into practice ensuring your knees are following your toes, if you can try doing them without touching the ground and if needed, use something to balance yourself with. Our body is built so every joint is inline for maximum force exertion, when they’re not inline we lose the ability to exert that maximum force. Cardio! I can hear the groans from here but cardio is incredibly important . Most people have probably heard of interval training, and most are probably too scared to try it. Interval training doesn’t have to be intense, it literally just means intervals between exercise. You could do a 1 minute walk then do a slower walk for 2 minutes. Intervals can be performed on a bike, rowing machine, in a pool or even on your skates! Interval training is very relevant to how derby is played, players have to get used to giving it their all for 2 minutes then slowing down to almost nothing. Please begin with caution, do not start with a high intensity, or even medium. Before starting interval training, ensure you have 6 months previous training in some form of cardio or other fitness experience e.g derby training or gym training. Always keep neutral spine when training and do not compromise your safety just to push yourself a little further! One of the things we take for granted on the track, is the fact that our helmet will protect us in the event of a fall. As a relative newbie to the sport (just on 12 months now), I did some research into helmets to discover a bit more about that vital piece of equipment protecting our noggins from getting a floggin. Most of us are probably not as protected as we may have thought, or even as much as we might like. It turns out, that most of the helmets being sold to us for derby purposes, aren’t actually rated to take more than 1 serious hit (and some of them, surprisingly, aren’t even rated to do that!). What counts as a serious hit I hear you ask? Well it could be something as simple as falling hard and smacking your head on the floor on the rebound… or running into a wall and rebounding off your head (which I was prone to do as a freshie – I’m a klutz by nature what can I say). For a start, I want to be upfront and tell you that I am by no means an expert on these things. BUT I did want to share some of the research with you, maybe you’ll learn something in the process and hopefully I’ll be able to give you something to consider the next time you look at upgrading the head ware. With a lil luck, I’ll even be able to do it with minimal techni-babble. * Hard foam (or bike/skate) helmets have a stiff EPS foam liner, like that of a traditional bicycle helmet. They are mainly intended to sustain one large impact. Hard foam helmets with an EPS liner are typically CPSC certified for bike use. They can also be used while doing other activities, such as roller derby, skateboarding, or inline skating. standard for roller skating and trick skateboarding, very similar to derby. It’s okay to keep using a multi-impact helmet after falling, but you should still replace it after the event. Multi-impact helmets are tested by dropping straight down a number of times from a lower height and measuring the amount of energy transferred to the meter inside. America seems to have set the standards when it comes to rating derby helmets and it’s no surprise that they take it very seriously considering the cult status the sport has in the US. A lot of my research into the topic, involved reading through pages and pages of technical speak about the standards of what a multi-impact helmet was in the US, versus the single impact helmet varieties. There is a lot of information out there on the topic (and I’ve included some links at the end if you’re interested in reading up on it). In a nutshell, the 3 main certifications setting the standard are the US Consumer Product Safety Commission (CPSC) certification (for single “large impact” helmets), the ASTM certification and the HECC hockey safety certifications (for multi-impact helmets). These helmets meet the requirements for protecting the head in the event of a significant impact (such as hitting the floor with a bit of speed). They are designed to protect the head in the event of a single large impact, or protecting your head in the event of smaller knocks (such as those we cop in the pack at scrim). They tend to have a stiff foam liner which is good for absorbing minor knocks, but which doesn’t dissipate the energy of a larger knock as effectively more than once, the way a multi impact rated helmet will do. To absorb the impact, the hard shell casing of a CPSC helmet will deform as it dissipates the energy of the fall, basically meaning that the foam lining, won’t go back to its original shape. The effects might not be visible in these cases, which are why on inspection, things might look fine. After a big fall (or even dropping your helmet from a significant height or throwing it in a tanty), the lining isn’t as effective and might not protect you the next time round from getting a concussion. This is the standard certification for Multi-Impact helmets used for skating. Unfortunately, there are not a lot of helmets out there that meet the standards required to get this kind of rating. But those that do are slowly finding their way onto the Australian market. To meet the ASTM rating, the helmet needs to be able to take multiple beatings similar to the test for the CPSC certification. In order to pass, the integrity of the liner needs to be maintained. The HECC certification is the standard for hockey helmets and is the most stringent in terms of testing and pass requirements, and you can imagine why it needs to be when a puck flying through the air could occur multiple times over a game. Naturally, the HECC certification therefore takes the ASTM certification to the next level. Australia doesn’t have a rating for multi impact skate helmets as yet, the closest we get to the US standard is what is used for Hockey helmets in Australia, and most of those are based on the US testing regime. The bottom line being that that Australian Standards for bike and skate helmets, are more closely aligned to the US CPSC standards for a single large impact. And a lot of the helmets we get in Australia are from companies in the US which means they’re more likely to have a US Standard attached to them also. * Make sure your helmet is designed for skate use and not bike-only use (a bike/skate helmet is fine). A skate helmet covers more of the back of your head and neck. You’ll need that protection when you fall backwards. * Don’t store your helmet in your trunk between practices. Let it and the liner air out. (Your friends will thank you.) Plus, depending on the construction, temperature extremes can damage your helmet. * Make sure you check your helmet before you use it, inspect it for any visible damage as well as for soft spots in the liner and the outer shell. X Sports Protective has a couple of articles with more tips on what to look for when inspecting your helmet and knowing when to replace it. 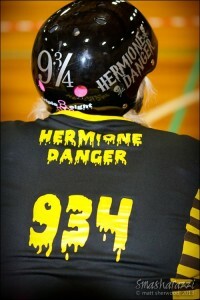 Visit http://www.xsportsprotective.com/pages/how-to-choose-roller-derby-helmet for more details. As a minimum, you should be looking at a skate helmet that meets the minimum standards for a single large impact, that means looking at the hard foam interior linings and making sure that you replace your helmet after a big fall (or after throwing your gear around). I’m not going to tell you which helmet to buy, cause ultimately, that’s your decision, and you need to make sure that the helmet fits comfortably also. Thankfully, there are a few more multi-impact helmets on the market nowadays, not all of them have hit the shops in Aus-land, but you can expect that this will change the more people are looking for them. Protec, Nutcase & Triple 8 all seem to have ASTM rated helmets in their ranges so that might be a good starting place to start looking if you’re after a multi-impact rated helmet. For a great read on the ins and outs of helmet standards and the different types of helmets out there, Windy City Rollers have a great article here which is well worth taking the time to read. At the end of the day, it pays to ask questions and it pays to do a bit of research – a little time and pain now, can stop a lot of pain later and hopefully having read this, you’ll have a better idea of the questions you need to ask to get the best protection to meet your needs.